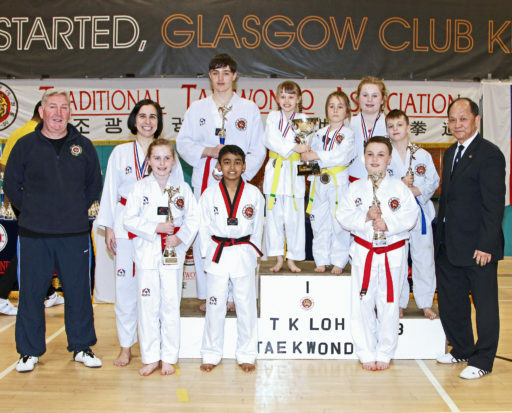 Callander and Falkirk Taekwondo club had a great end to 2018 with our youngsters winning multiple medals at the 36th annual British Taekwondo Championships held in Glasgow by the TTA. 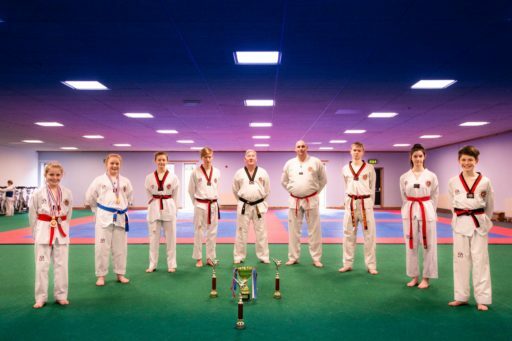 Our competitors achieved 4 Golds 2 Silvers and 3 Bronze medals. Aaron Connelly had a gruelling final bout to win the junior male sparring event he is a young man with great potential to excel in Taekwondo. The junior female sparring event went to Alex Tweedie who had 2 tough fights to win Gold, she beat fellow club member Emily Aitkenhead who achieved Bronze for her first sparring event, Emily also just missed out on a medal for the patterns event. Eva Morrison won Gold in the female cadet event this is her 4th consecutive Gold in competition, each year she gets stronger and stronger at these events. Brothers Jacob and Rhys Clark had close fights just losing by a few points they received a Bronze and Silver medal respectively for their effort. Rhys has great potential for future success in competitions and has a great relaxed attitude to his Taekwondo challenges. Matthew Johnston had a few tough fights winning his final in the last 5 seconds of the bout with an accurate axe kick to win by 1 point. Toni Kent competed in sparring and patterns winning Silver and Bronze respectively. Another end of the year bonus for our club was 2 new Junior Black Belts Alex Tweedie and Samarjit Santhosh as well as 2 new Junior 2nd Dan Black Belts Aaron Connelly and Fred Murray. 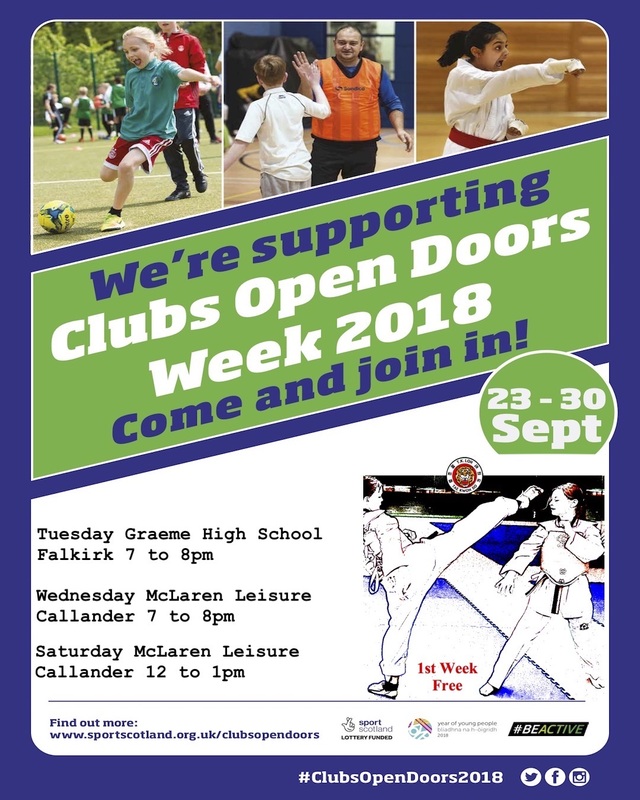 Our club trains 4 days a week in Callander and Falkirk, all new students are welcome to come along and give Taekwondo a try. Contact Duncan Irvine 07713 193841 or email duncirvine@gmail.com. Come and join us in our 2019 challenges! 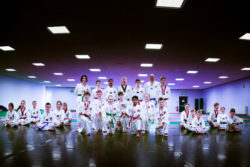 At the recent November 34th TTA individual national Taekwondo championships held by Grandmaster TK Loh we had a large haul of medals a lot coming from our new intake of students. We also won best team spirit trophy again, showing what a committed team we have and a close club community. For patterns we claimed 6 Gold medals and 2 Bronze. Matthew Johnston and Rhys Clark. Bronze Tony Clark and Santhosh Kumar. For sparring we claimed 4 Golds 1 Silver and 3 Bronze. Golds were awarded to Conan Irvine, Eva Morrison, Matthew Johnston and Fred Murray. Silver awarded to Tom McCulloch. 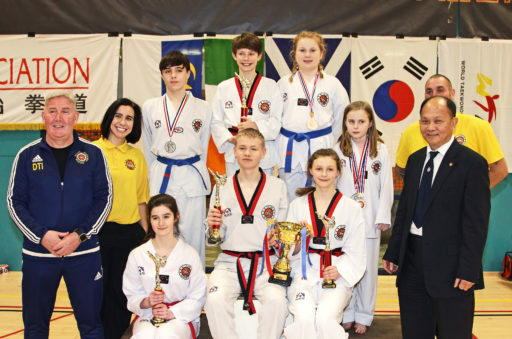 Early on in the year Matthew and Eva won Gold in sparring at the team championships in April. to take the Gold medal leading his students from the front. He is a great inspiration to the children he teaches, now 24 years old he started Taekwondo when he was 5 and teaching since he was 14 he shows the true spirit of Taekwondo in all he does in life. He is a true inspirational leader. I was very excited on the day and was not nervous because the training I had been given before hand prepared me well. I knew exactly what my pattern was and wish I did the sparring as well. I enjoyed watching the other competitors, I’m looking forward to the next competition.